The Brazos River cuts a path through the heart­land of Texas from the Panhandle to the coast south of Houston. Lake Whitney State Park lies on the Wa­shi­ta Prairie, which is the eastern edge of the greater Grand Prairie that stretches from the Red River south to the Colorado River. The Washita Prairie fea­tures gently rolling grasslands of little bluestem and Indiangrass. Isolated trees and oak mottes crown the hilltops. 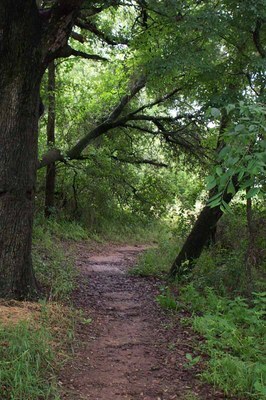 Ribbons of woodlands follow the creeks and streams feeding the Brazos River. Brown, shallow soils cover a foundation of hard limestone rock, creating rugged white outcrops where the soil has eroded. Often used for grazing, the Wa­shi­ta Prairie also provides diverse habitat for wildlife. Along the nature trail, you’ll find netleaf hackberry, cedar elm, post oak, soapberry and plateau live oak. Listen for wood­peckers tapping into the hardwood trees in search of insects. White-tailed deer browse the grasslands, taking cover from the heat in shady, wooded areas. You may hear armadillos scratching through grasses along the trails. Other common animals include raccoons and squirrels. Foxes, coyotes and bobcats are oc­ca­sion­ally spotted. Birders have identified nearly 200 species of birds, including wild turkeys and bald eagles. 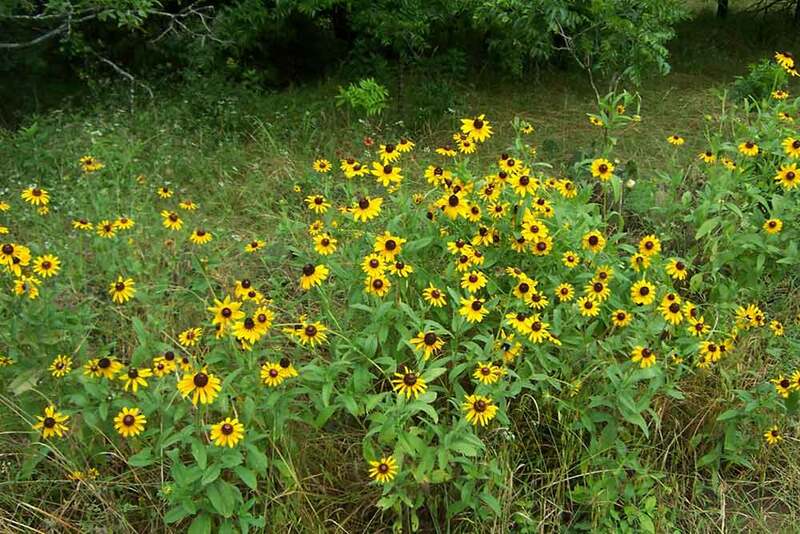 In the spring, bluebonnets, Indian paint­brushes and many other wildflowers cover the landscape.